Having your septic tank cleaned on a regular basis helps you avoid costly problems in the future and protects the health of your home, family, and community. 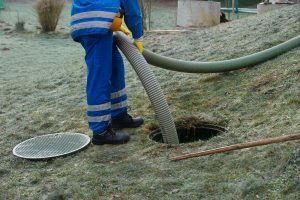 Septic cleaning involves pumping the tank to remove solid waste material that can clog the system and cause sewage to backup into your yard or home. Leaked sewage can contaminate groundwater or nearby water sources such as lakes and streams and pose a health hazard to those who use them. Regular cleaning greatly reduces the chances of the system getting clogged and requiring costly repairs, yet many people are still reluctant to spend the money. If you’re in doubt about how having your septic system cleaned on a regular basis can save you money and time, here are a couple of important facts to consider. While septic cleaning isn’t incredibly cheap, it’s quite a bit cheaper than having the system repaired or replaced. Having a qualified professional clean the tank on a regular basis, about every 1 to 3 years on average, may cost a few hundred dollars per cleaning, repairs and replacements typically cost thousands. Regular cleaning stops problems before they can start, which saves you both money and time in the long run. By the time you notice signs of a problem, repairs may already be necessary. Warning signs include odors coming from the toilets or drains, slow flushing, and standing water in your yard over the tank or drain field. Unfortunately, by the time these signs appear there may already be damage to the system, such as a ruptured tank. This can also cause sewage to leak into your home and pose a serious threat to your health. Hiring a qualified professional to perform regular septic cleaning goes a long way in helping maintain the health of your system. Not only will you avoid costly problems in the future, but you’ll be helping protect the health of your family and community.